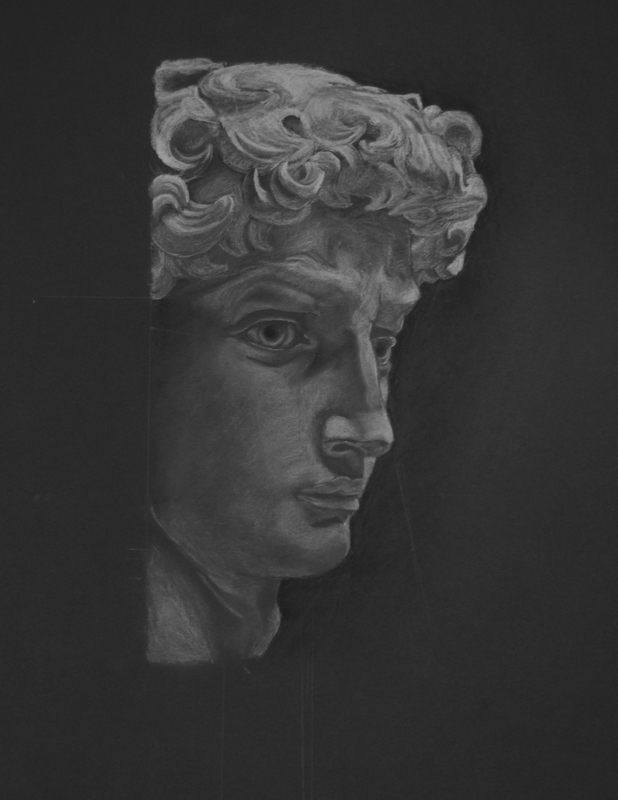 Mia made a drawing of Michelangelo’s David, white chalk on black paper. 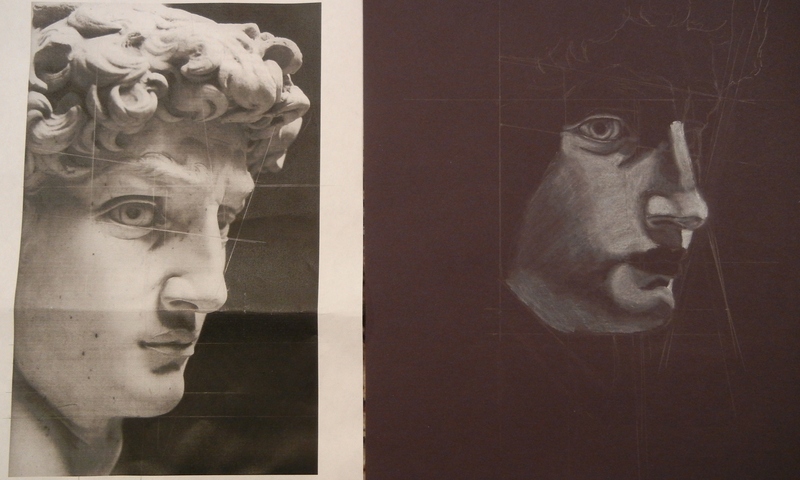 First image is the model and work in progress, the second is the final work. Great job again, Mia!